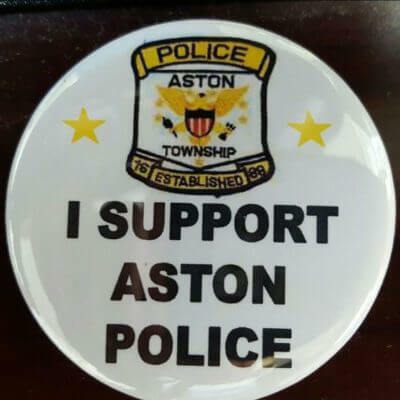 Aston Township Police Department will be selling “I Support Aston Police” pins. 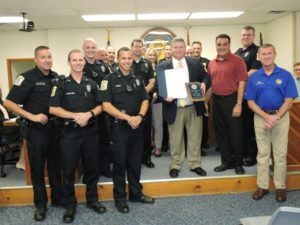 The pins cost $1.00 and ALL of the proceeds are being donated to Neighbors Helping Neighbors. 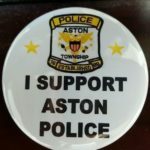 The pins can be purchased at the Aston Police Department located at 5021 Pennell Road, also depending on availability they will be sold at Community Day on October 1, 2016. 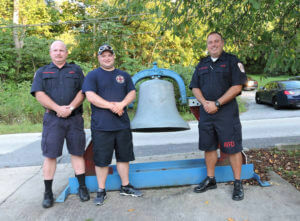 Emotions ran high the evening of August 18 as members of the Aston Township Fire Department (ATFD) #17 joined commissioners, officials and neighbors for the decommissioning ceremony of the ATFD West station, formerly known as the Aston-Beechwood Fire Company #72 on Mount Road.